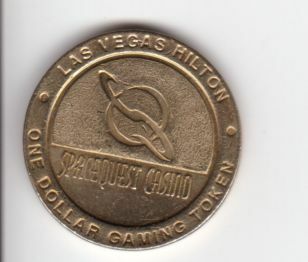 This section features non-Sierra Space Quest stuff; These are people, places or objects that share the name of Space Quest, Roger Wilco, or any other Space Quest terms, items and names found in the SQ games. 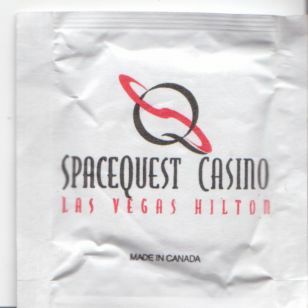 Pure coincidence or inspiration? 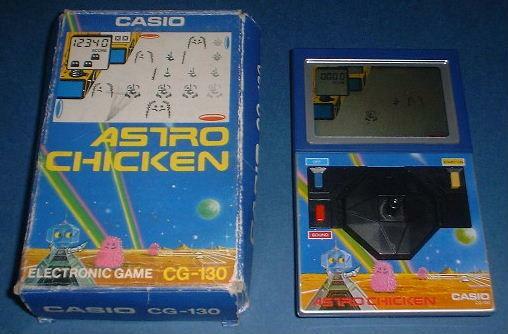 Casio released a hand-held electronic game in 1983, called Astro Chicken. 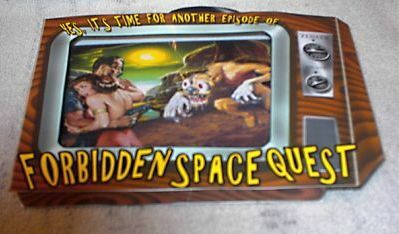 Well before the 1989 release of Space Quest 3, the game that features Astro Chicken for the first time in the SQ series. 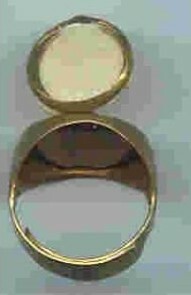 Click on the thumbnail(s) for a closer look! 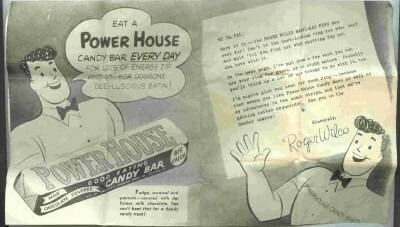 The name Roger Wilco was also given to the mascot of a 1950's candy bar, the Power House Candy Bar. 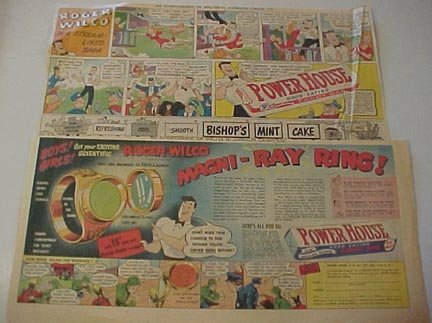 You could apparantly send in a Power House Candy wrapper and a quarter to receive a very cool Roger Wilco Magni-Ray Ring, complete with a secret compartment for hiding messages... Wow! 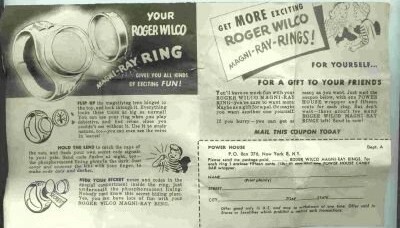 There are an assortment of Roger Wilco Rings to collect, some of them even glow... Oooooh! 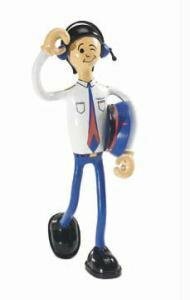 Here we have bendable toy Airline Pilot who just happens to go by the name of Roger Wilco... 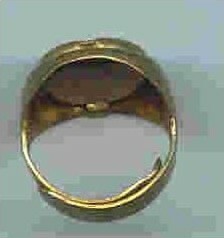 This figure was released by Bendos. 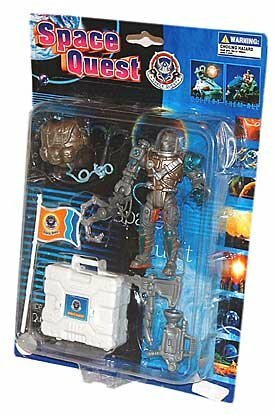 Don't you just love toys?!?! 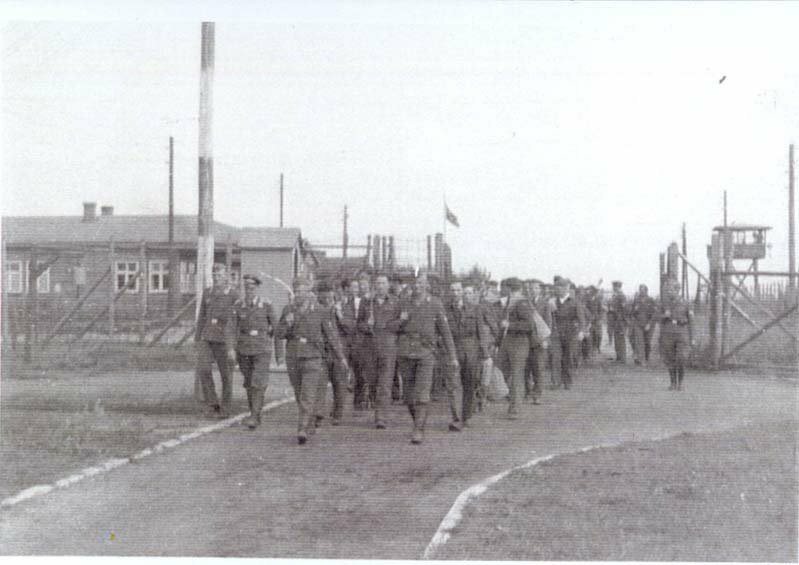 There is a very well known US World War II Pilot who shares the name Roger Wilco, he was also a POW (Prisoner of War) in Barth, Germany at Stalag Luft I. A chain of liquor stores located in New Jersey goed by the name Roger Wilco, apparantly there is a rather large outlet in Pennsylvania. 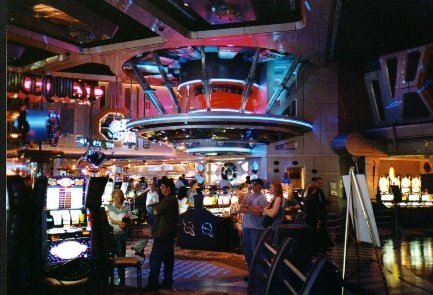 The perfect place to pick up some booze after a hard days work of snoozing... *ahem* cleaning. 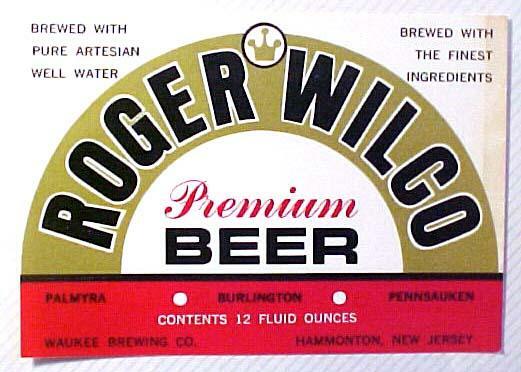 There is also a Beer named after our hero, called Roger Wilco Premium Beer, check out the label below. 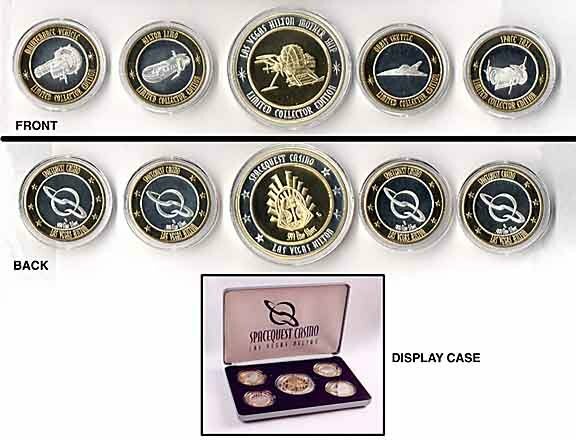 Yes, it is real folks! From GameSpy, Roger Wilco is a free voice chat application, aimed at primarily at Gamers, that allows you and your friends to talk to each other while playing multiplayer online games... Instead of typing trash, which takes longer, you can just yell in to your microphone instead! 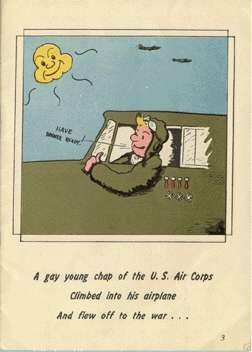 There was a record released in the 1960's by Oscar Brand featuring the Roger Wilco Four, called The Wild Blue Yonder. They also released Out Of The Blue, but this time under the name Oscar Brand and The Roger Wilco 5... They obviously picked up another band member along the way. Obviously this is a play on words... 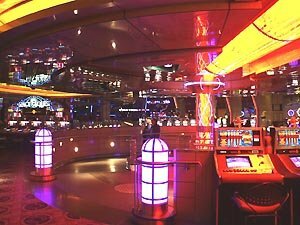 It's not a Sic-Fi episode of Frasier, but Frasier is simply seeking space, peace and quiet, as stated in the above synopis. You know those chocolate eggs from Ferrero, those Kinder Surprise ones with the "surprise" toy inside? 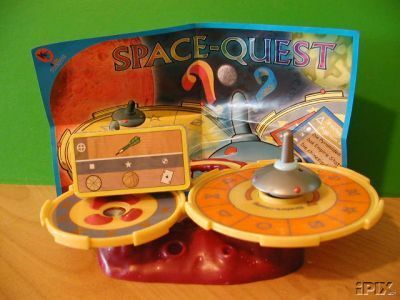 Well below is a Space Quest toy from such an egg, it looks like it is some sort of game, it has spinny things on it... With symbols, Ooooo! 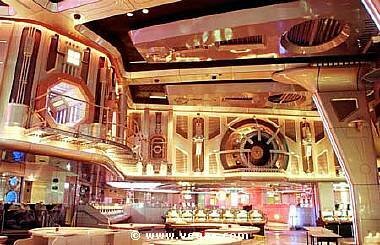 This is a collection of art pieces (I have found 3) that you hang on your wall. 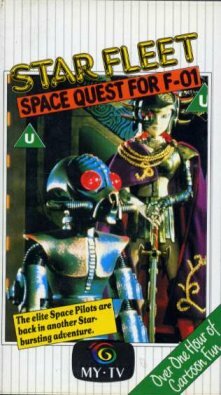 The pictures are meant to be a spoof of Sci-Fi B-Movies, hence the TV set. 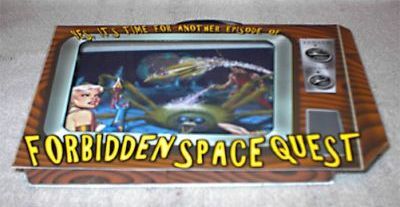 All of the art pieces have the words "Yes, it's time for another episode of... 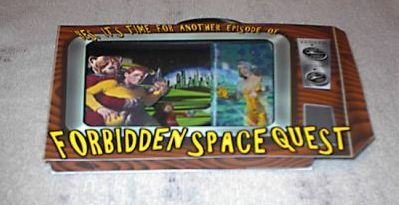 Forbidden Space Quest"
While checking eBay for cool Space Quest stuff, I came across these Space Quest figurines. Made in China (duh! 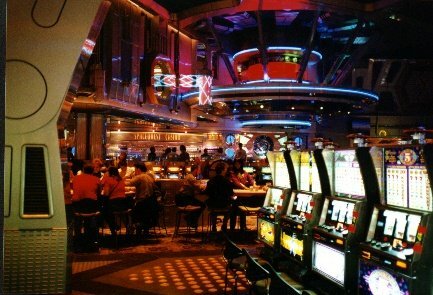 ), they have nothing to do with the SQ games we know and love. 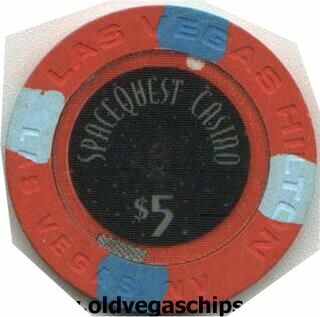 They only cost me a couple of buckazoids and had Space Quest written on them so I bought 'em. There are apparantly a few in the series, I managed to get #1 and #2. 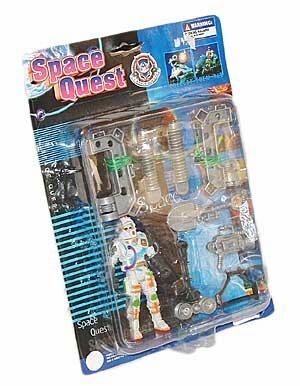 It's a pity no real Space Quest figurines were made, now that would be very cool indeed! 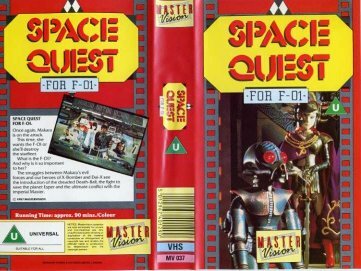 A 90 minute video was released based on the UK muppet/animated TV series Star Fleet, titled Space Quest For F-01. 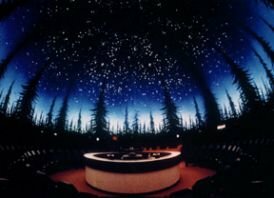 Located at the Children's Museum of Indianapolis, they have the Space Quest Planetarium. Need to buy a Satellite? These guys sell Satellites! 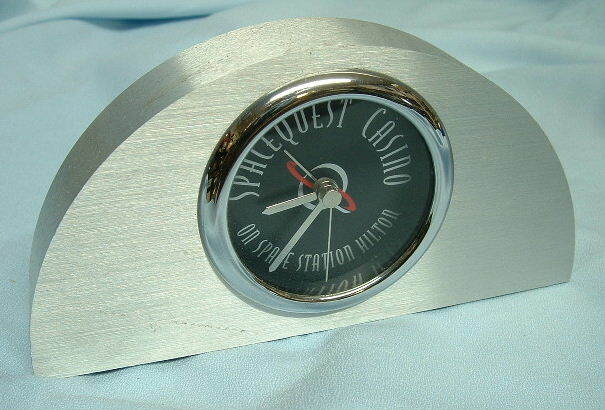 Handy for when taking over the World!! *ahem* Or searching for an Endodroid etc.